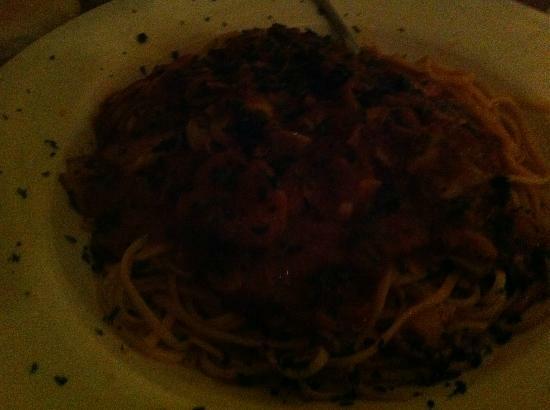 Excellent pasta and Spaghetti.Great Italian FoodMany of us ordered the seafood pasta dish which was incredible. On the best known street for Italian Food in New Haven, sits this outstanding eatery. Menu is large, food is excellently prepared, service is attentive and should be enjoyed by by all fortunate enough to have the experience to eat here. I've been dining at Tony and Lucille's for decades. The Italian style cuisine is authentic, delicious, and second to none. With reference to the title, our families go back over 100 years. It's always a fun time when you're with the Sacco family. Line at Pepe’s? Don’t waste your time. Excellent food and service without the trendy wait of other spots on the street! Good, good, good. The 3 dishes at our table were all excellently prepared with fresh ingredients. Reasonable cost. Excellent service. What more do you want when you're hungry besides good food and good service! Excellent food,service and setting. Italian food that my grandmother use to cook. Excellent food preparation and quality. Get quick answers from Tony & Lucille's Little Italy staff and past visitors. Is this an expensive restaurant?